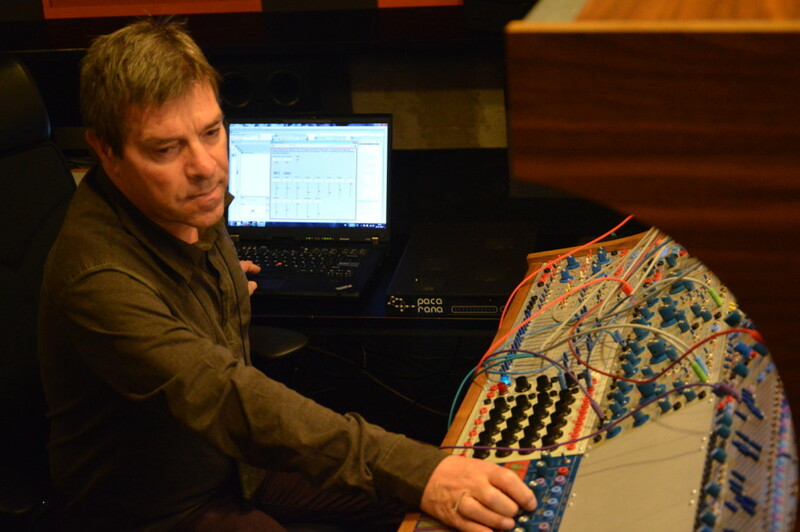 On February 25, composer/synthesis-researcher Roland Kuit will be broadcasting live and in stereo from EMS in Stockholm for the Dutch Concertzender Radio, demonstrating his work with Kyma and the Buchla 200 interacting with each other in EMS Studio 4. At the heart of these compositions are the Kyma algorithms that Kuit uses to frequency-modulate the Buchla Complex Waveform Generator Model 259 which, in turn, is used as trigger function for the Sequential Voltage Source Model 243, thus exploring the intriguing area that lies between note triggers and wavetables. This sequential control voltage is controlling a second Complex Waveform Generator Model 259. And the audio of this Waveform Generator is used as the carrier for the 285e Frequency Shifter / Balanced Modulator. The 266e Source of Uncertainty modulates a third Complex Waveform Generator Model 259 and is used as modulation signal for the Balanced Modulator which is fed through 296e Spectral Processor for filtering. Finally the loop is closed by routing these algorithmic audio ‘sentences’ back to Kyma for Ring Modulation and quadraphonic placement. Kuit is a frequent guest on the Concertzender where he’s often called in as a modular synthesis expert to explain various synthesis algorithms or to discuss music by some of the pioneers of electronic music. 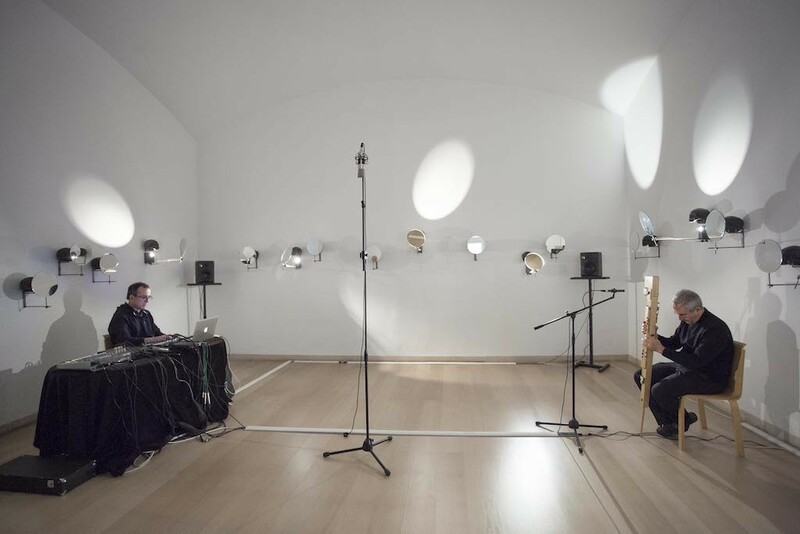 EMS#1 will stream live on 25 February after which it will be available as a podcast from the Concertzender archive. Film composer Tobias Enhus has had a lifelong fascination with jet travel, perhaps due in part to the fact that his mother was one of the original hostesses (as they called the cabin crew back then) for Swedish Airways. So it’s no surprise that his latest music video, LumiTECTURE is something of an homage to flight and movement. I’ve always been interested in flying. And there’s so much movement in the air, so many UFO’s over LA—balloons, airplanes, birds, satellites. I’m always trying to capture that sense of movement. In LumiTECTURE, Enhus used a combination of time-lapse and telescopic lenses, and an all-Kyma soundtrack to create a sense of Los Angeles as an energetic, living, breathing organism. Skyscrapers and the LAX flight stack-up take on the appearance of a rain forest full of insects, and the notorious traffic on the 101 takes on the appearance of red blood cells moving through a capillary. To get that incredible opening shot of the moon, Enhus schlepped his gear up to Mount Wilson to get above some of the atmospheric clutter, filming for several hours in 34 degrees F, then back to downtown LA where the temperature was 58 F.
“After filming in that tunnel, I’m going to have to drink wheat grass shots for a month to overcome the effects of breathing all that fine particulate roadway pollution,” he joked. And how about the UFO scene? Was it looped? 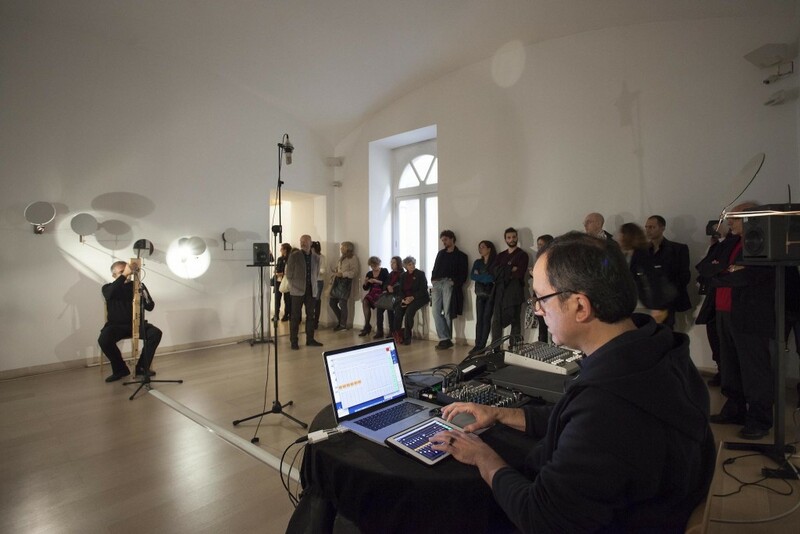 Vincenzo Gualtieri’s new work—(BTF-3), for Bass recorder, larsen-tones and Kyma—was performed for the first time with Tommaso Rossi playing bass recorder on November 16th 2014 in Naples as part of a concert at the MADRE Museum (Museo d’Arte contemporanea Donna Regina -> Donna REgina contemporary Art Museum), where it was performed in a room containing the site-specific work Spirits by Rebecca Horn. An adaptive/site-specific digital system with an ecological approach, (BTF-3) stands for BackToForward-3rd and is based on an array of granulators arranged in series with a feedback loop frame. The work was performed again in Padua at the Pollini Conservatory. Although there is no recording of BTF-3 yet, in BTF-4 you can hear a similar system, also implemented in Kyma, performed in this case with tenor sax.